Privacy and geo-restrictions are big topics around the world and Spain is no exception. If you’re Spanish or just living in Spain then using a VPN service is almost an essential. As many European governments secretly snoop on their citizens and other nefarious types attempt to gain access to your details it means protecting your internet connection is critical. If you’re less interested in your personal online privacy but more interested in accessing websites from around the world that aren’t available in Spain then a VPN is an essential tool to broaden your entertainment horizons. Finding the best VPN for Spain can be time consuming and almost impossible due to the wealth of options. I’ve been putting VPN providers through their paces to find out which makes the best option for use in Spain. IPVanish makes an excellent choice for Spain because their local and international VPN server selection. Spain is covered with servers in both Madrid and Valencia. This is great news if you’re a Spanish resident because it’ll give you the best possible speeds while allowing you to protect your privacy both at home or when out in public. Having local servers is especially important if you make use of public Wi-Fi at locals places such as coffee shops, restaurants, libraries or other locations. The local Spanish servers will allow you fast access and security. If you want to tunnel out of the country then there are plenty of servers nearby including locations such as Portugal, France, Italy, Malta and most other major European locations. For those wanting to bypass geographic blocks and access entertainment services such as BBC iPlayer, Hulu and a host of other worldwide services then IPVanish are one of the best suited. They have VPN servers in over 60 different countries including all the major entertainment locations. IPVanish is also one of the easiest to use providers and comes with software and apps for Windows, Mac, iOS and Android meaning they’re suitable for all skill levels from the beginner to the expert. If you’re looking for a good second choice VPN provider then ExpressVPN fit the bill. Like IPVanish above they also offer servers in Spain itself which is great news and will give the best local surfing experience. Having a local Spanish server is best for speeds especially if you find yourself connected to a public Wi-Fi hotspot that can often be slow. ExpressVPN is a little bit more expensive which is one of the things I dislike most about their service but they do give you a massive 30-day money back guarantee that really lets you test the service in plenty of different circumstances to see if it’s suitable for your needs. If not, just get your money back. Software and apps for all major devices and systems are available including Windows, Mac, Android, and iOS. They have the bonus of having a Linux client too which most other VPN providers don’t. If you want to bypass geo-restrictions then ExpressVPN is possibly one of the best choices as they have one of the biggest worldwide VPN server networks. With servers in over 78 different countries it’s hard to find an entertainment website that you can’t access. I personally find IPVanish to be a faster provider as shown in our monthly speed tests and they’re also cheaper but if you need access to a slightly bigger range of countries, use a Linux system or want to take advantage of the 30-day money back guarantee then ExpressVPN is well worth a look. Continuing the list with providers who offer Spanish servers, we have Overplay. Overplay offer support with a Spanish VPN server allowing fast local connection great for protecting your privacy. While this option certainly works from home, it comes into its own when you’re out and about using public Wi-Fi in Spain and will let you stay secure. Overplay currently support Windows and Mac with custom software but unfortunately one of the biggest drawbacks is there are no apps for Android or iOS devices. While the service is good it’s this feature alone that lets the service down. If you’re happy to do manual set-up then they’re fine but if not then you should look at one of the providers above. A total of 48 different countries are covered with VPN servers in locations near Spain including Portugal, France, Italy and a handful of other locations through Europe and further afield. Overplay includes a SmartDNS system so if you want to bypass geo-blocks on TV services then this will help you without any speed loss. You get the best of both worlds from the VPN and SmartDNS. Priced the same as ExpressVPN they’re a little more expensive than IPVanish which is why they don’t take my top spot but if you’re happy to part with a little more cash then their service is worthwhile considering. VyprVPN like the other providers offer servers in Spain, Madrid to be more specific that will be suitable for users all over the country. One of my favourite features of VyprVPN is their 3-day free trial that allows you to sign-up and test the service before actually paying for it. You do need to enter some payment details to take advantage and if you don’t cancel before the 3 days are up then you will be charged but it’s a bit of a unique feature not found elsewhere. As with the others there is a large range of European servers with all the nearby locations covered. VyprVPN has over 42 countries covered so while not as big as some of the earlier providers they do still offer a huge range of choice with all the major locations and some more obscure ones covered. Unfortunately VyprVPN is one of few providers that don’t work with BBC iPlayer or Sky Go so if you’re from the UK living in Spain and want to access those services you’ll need to look elsewhere. All major systems are supported with software for Windows, Mac, Android, iOS and a new command line interface for Linux systems. These will enable you to protect your connection or bypass geo-restrictions at home or on the move. PureVPN round up my selection for the Best VPN in Spain and with a Spanish server in Madrid they make a good choice. Overall a total of 141 countries are available to connect to which is the biggest amount out of all the providers listed. If you’re after accessing some geo-restricted content in a country that isn’t usually covered then PureVPN may be an ideal choice for you. PureVPN allows you to use the service on up to 5 devices at one time which means not only can you protect your home connection but also your mobile connection. If you’ve got other family members who want to unblock content at the same time then this is also possible. Software is available for Windows and Mac and apps for Android and iOS making it easy for newcomers and those who are already familiar with VPN services. PureVPN isn’t the fastest provider although they are the cheapest when taking a yearly package so if their features suit your needs they’re worth checking out. 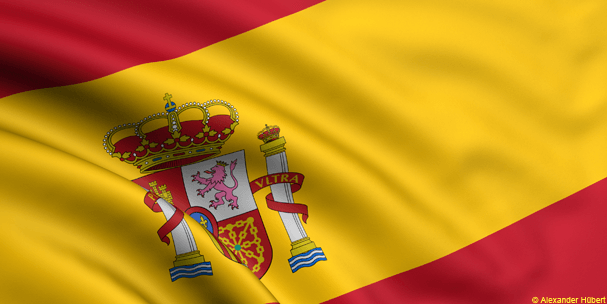 Above I’ve given 5 good examples of VPN providers best suited for use in Spain. They all offer Spanish servers which is great for local connections and further afield there are servers to access content from other countries. Based on prices, speed and overall features IPVanish are the Best VPN for Spain but the other 4 all have their positives and negatives so feel free to take a look at the 5 provider’s websites as one may be more suitable for your needs than the others. If you would like to look further afield then our full VPN Comparison Guide has other options that may be suitable for Spain. To recap on the best VPN for Spain options check the table below.